By @SimonCocking. 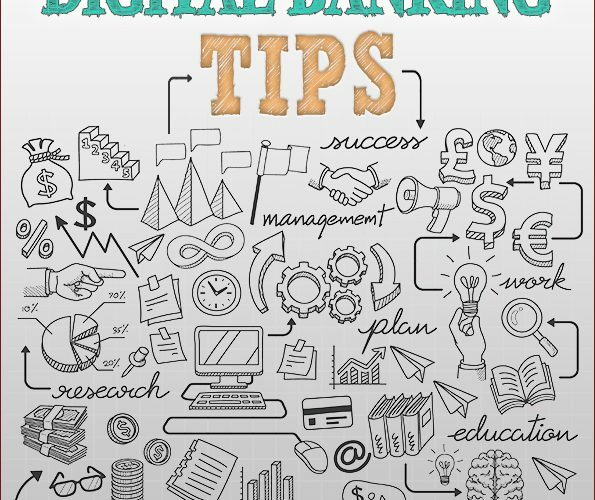 Review of Digital Banking Tips by Tolga TAVLAS Top 100 #Fintech Influencer,#DigitalBanking & #CyberSecurity Expert, Blogger. This is a short book, with lots good tips, based on Tolga’s experiences of evolving and developing banking services in the digital era. The chapters are bite sized and give you lots of good practical questions to ask yourself / your own company, to see check if you have considered them and planned an suitable response to them. The challenge for many traditional banks is to understand that the landscape has changed and ‘doing it the way they have always done it’ is the road to obsolescence for them. Tavlas points out that in this more connected social media age digital marketing must be done by more than just the marketing team. If you are going to have your senior executives on twitter, (as they probably need to be) then they must also be digitally responsive and engaged to some degree. If not potential opportunities could go to other, more engaged companies. The book is written in a light and practical way, with humour and interesting quotes from unexpected places. He even manages to quote Wayne Rooney, and even more surprising perhaps, saying something insightful and relevant to Digital Banking. Tolga’s chapters on mobile security make for interesting, and probably essential reading for traditional banks looking to successfully move into the mobile banking era. Tavlas references and has worked with Brett King and Chris Skinner, who have also done great work recently in mapping out what the future will probably look like for all of us. Forewarned is forearmed, Tavlas attempts in this book to provide a series of clear checklists for consider if you are future proofing your own company and its operations. You can buy the book from Amazon, and read more on his Digital Banking Tips blog, and follow him on Twitter.